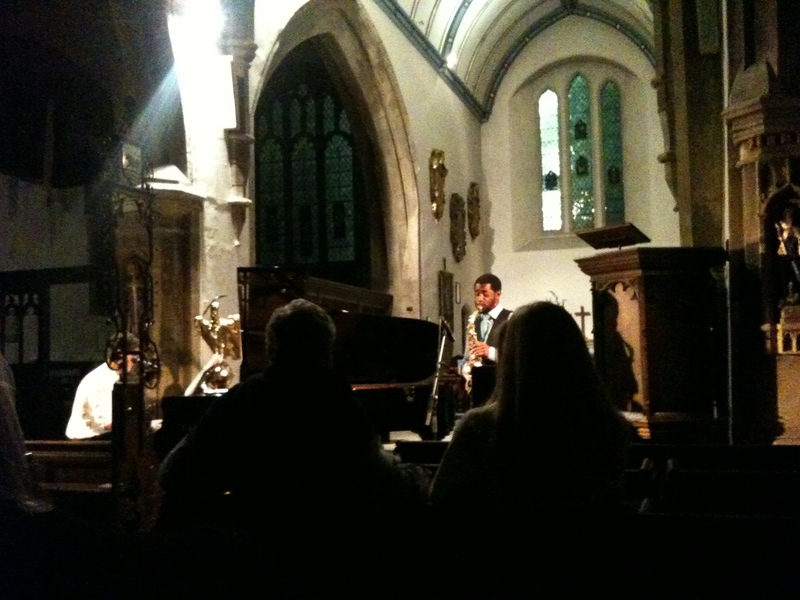 Last week I was lucky enough to be able to actually attend one of my good friend Theo Jackson’s live jazz gigs. 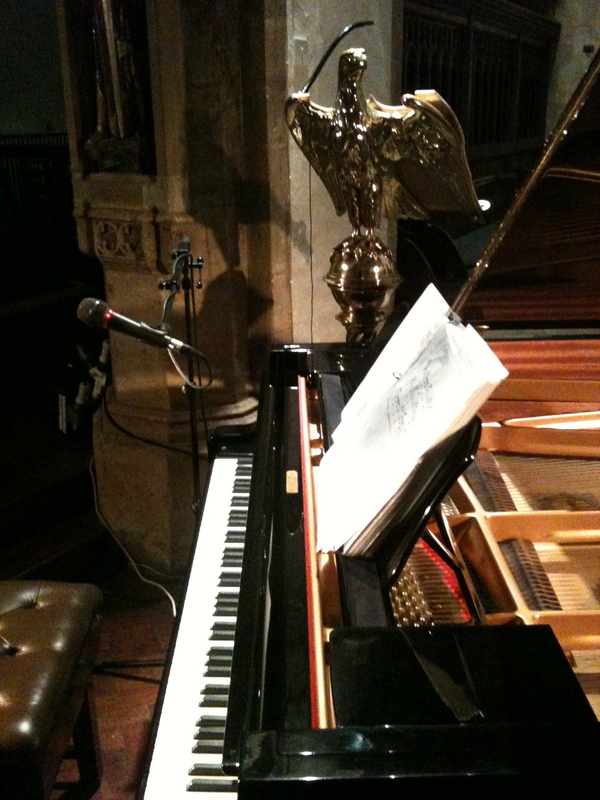 I have known Theo for years now, and have always been aware of and enjoyed his brilliance behind a piano, but its rare that I actually ever get to one of his gigs; Stuck out here in provincial old Oxford away from the hubbub of the metropolitan Jazz Scene I have somehow missed all of his recent gigs. He continues to invite me, but I suspect harboured the creeping doubt that I was a member of the “I want to do that” clan that never actually get round to doing ‘that.’ But I made it, and what a gig! Theo is a muso who studied music in Durham, who in the last few months has played such prestigious venues as Ronnie Scotts’, The 606 Club, and the Pizza Express Jazz Club. Last week he played in the Church at St Michael of the North Gate, Oxford. The atmospheric lighting, surrounds, and fabulous acoustics were utilised brilliantly, and the harsher sounds of Nathaniel’s alto sax mixed well with Theo’s piano and the warm cans of beer on sale at the back of the church. If you do get a chance to go and see them both live, its well worth the effort. Even if it means a trip to the metropolis. You can get all Theo’s details, videos, and details of future gigs here.